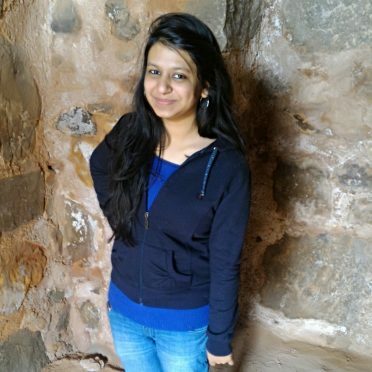 About the Author: Arushi Bansal, a student of Rajdhani College, shares insightful details about her internship at Uber and her venture into the brand promotion. Q1. How would you promote Uber in your college? I told her that with the permission of the college authorities, I’d organise an interactive session providing insights into the functioning of Uber and how it has made traveling easier. I’d also try to attract them with the free rides given on using Uber for the first time and referring the app to others. Q2. If Uber organises a special event in the city, how will you promote it? I told her that in this era, social media is the best medium to approach a large audience. With Uber’s authorization, I’d ask people to share the news of the event on Facebook and whoever gets five other people to share the news will be given a free ride worth 100 rupees. Q3. If Uber didn’t provide sponsorship in cash, how would you promote Uber at your college fest? I said that I would try to crack a deal with the organizers of the fest to promote Uber in exchange of some free rides as they have to commute to different places during a fest. A few days later, I received an email regarding my selection and was added to a WhatsApp group along with other selected candidates. We were about 40 people and our primary objective was to market Uber and get as many signups as possible. On the first day, we reported at their Gurgaon office. It was Uber Ice-cream Day wherein Uber was going to deliver Magnum icecreams at a 50% discount between 11am and 3pm to promote their brand. Each of us was assigned a particular area in Delhi, a cab, and a driver. We were provided with an ice box, some badges, and bags. We had to interact with the customers while delivering the icecreams. This was an interesting stint as most of the customers were stunned with a girl making deliveries. I clicked pictures with them and uploaded them to Uber’s twitter page. Brimming with the excitement of my first day, I wondered what else Uber had in store for me. In the events that followed, we had to pitch various restaurants and spread the brand name. We were to partner with the restaurants asking them to put up pamphlets and give an Uber card containing a promo code to their customers. The hotel staff was asked to inform them that they’d get a free ride if they downloaded the Uber app and used the promo code. In return, Uber would promote the restaurant on their blog and put up banners with the restaurant’s name at the back of their cars. I realised that to close deals with restaurants, we needed a non-refusable proposal. I visited many restaurants viz. Gulab, Big Bake, Sbarro, Lights Camera Action, La Americana, etc. and most of them expressed interest in partnering with us. I updated my seniors about the deals. In another event, the interns were divided into groups of three, and each group was assigned a particular college to promote the brand name. I was assigned National Law University (NLU), Dwarka. My mentor had made it clear that in no condition would Uber sponsor us in cash, so we had to come up with an innovative idea which we indeed came up with! We decided to host a freshers party for NLU students where we would organise the screening of Suits, a TV show, and entertain the students with snacks and drinks. The entry ticket to the party would be an Uber app installed in their mobiles with a proper sign up to encourage downloads of the app. Since we were about to host a party without a single penny in our pocket, we pitched a deal to Uber that if a restaurant agreed to host the party, they would have to include an icon in their app with the name of that restaurant, and whoever clicked on that icon would be driven directly to the restaurant. The next day, my colleagues and I went to Dwarka and were surprised to know the fact that none of the restaurateurs knew about Uber. We pitched them but they couldn’t understand what they were signing up for. We went to a luxurious restaurant in a remote location wherein we were greeted by the manager. We talked to the manager and the owner of the restaurant about our proposal. They seemed interested and gave us a complete tour of the restaurant. The owner confided to us that not many people visited his restaurant owing to its location. He agreed to make the deal and asked us to mail him the proposal. We came out of the restaurant raging with joy and informed our mentor about this; she was proud of us but had a dash of reluctance in her tone. However, she emailed the proposal to the restaurateur. Not having received a reply even after three days, I called him but didn’t get a satisfactory reply. Soon, I realised that we were fooled. My mentor told us not to get disheartened and told me that she was reluctant as she knew this could happen. Even though we couldn’t organise the party, I learnt a lot from my ventures at Uber. While interning, I honed my marketing and communication skills and learned that the key to cracking a deal was to make your clients believe of the benefits they’d get. Also, I don’t feel shy and hesitant anymore in communicating with people. All thanks to Uber campaigns! Do you also want to intern with top brands? Check out these marketing internships and start-off your career.